It’s not easy to produce a high volume of blogs and stories, day after day, week after week— especially if you’re short on resources and funding. Today’s marketers look for creative ways to keep the content flowing, without blowing the budget. Crowdsourcing is a resource for curating high-value, information-rich posts and pages, especially when you’re short on resources or inspiration. 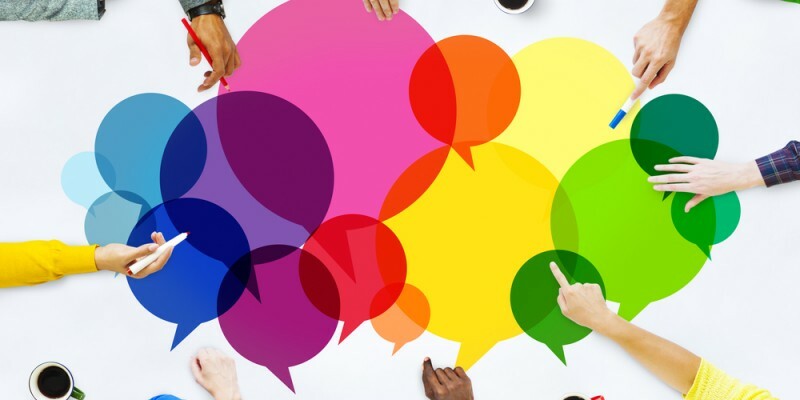 Here are a few ways to leverage crowdsourcing for content marketing. Crowdsourcing is the process of obtaining ideas and content by asking for contributions—whether paid or donated — from a large pool of online communities: Some within your industry, others not, but all with fresh ideas and innovations that you wouldn’t have thought of on your own. Guest posting. This is a perfect way to crowdsource for content. When you invite your community to write and get published, and build stronger relationships with customers and prospects. Purchase custom created content. There are plenty of websites offering freelance writing services. You put in a request and wait for the bids to roll in. Purchase pre-written content. Not really the best way to go, but there are places online where you can find pre-written articles that match your content requirements. It’s kind of like going to Getty or iStock to purchase existing photos. Create a voting platform. If you are looking for a new idea or perspective, why not solicit the advice of customers and industry experts? It’s a cool way to keep connected with your community and to let them know their opinions are valued. Make sure to keep your audience engaged by publishing the voting results. If you end up using someone’s idea, give credit where credit is due. A little recognition goes a long way toward building loyalty. Speeds up the content creation process. Face it, there isn’t enough time in the day to create the amount of content you want to create. When you crowdsource, you can assign 30 different articles to 30 different contributors. Keeps your content fresh. If you relied on the same set of internal writers to produce your ads and posts, time after time, the writing might become stale, repetitive and hackneyed. A diverse crowd of contributors provides you with a pool of innovative insights, out-of-the-box ideas, and unique perspectives. Expands your audience. People love to step up and give their opinion. Customers and industry experts who provide input will attract others who feel the same way, thereby expanding your audience. Creates loyal customers. When you hand the microphone over to a “crowd” of followers, you create a bond, which fosters loyalty to your brand. Start small. Take time to get to know your “crowd,” and for them to know you. Start with an easy question or request, like “what would you like to learn more about?” You’ll glean a nice list of article topics, and initiate an easy and trustworthy dialogue with your community. Set clear guidelines for expectations.When you begin soliciting written content, clearly outline what you are looking for in the simplest terms possible. Share the byline: Rather than giving the byline to only one of the article’s contributors, list co-authors. It’s perfectly fine to publish a blog or post with more than one author. Give credit within the article: When you share a piece of information in your content that a member of your team shared with you, quote them. Give credit via social media: When you share your content online via social media outlets (Facebook, LinkedIn, Twitter), give special thanks to the members who helped enrich your article. How are you leveraging crowdsourcing for content? Please share your tips in our comments section below!